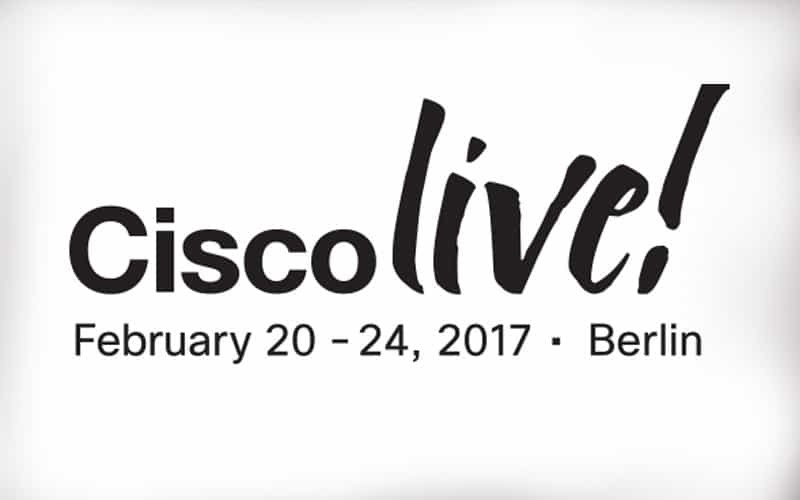 This year’s Cisco Live (CL) Berlin 2017 rocked the Messe Berlin. From a Cisco Data Center standpoint ACI, Tetration and ASAP continued to grab the headlines. In particular, Cisco ACI has established itself as the dominant SDN technology with over 2,700 customers and a growing eco-system of 65 partners in just two and a half years. Future-Proof your Business – fantastic and catchy opening keynotes were delivered by Cisco Vice President of Growth Initiatives (and Chief of Staff to CEO Chuck Robbins) Ruba Borno, who shared Cisco’s vision that the only future-proofed solution for digital transformation would be the next-generation secure network. Cisco’s intelligence unit consists of more than 250 leading security experts, data scientists and hackers. These are the guys who are hacking the hackers. This is an organization that has the back of every Cisco partner’s customer. 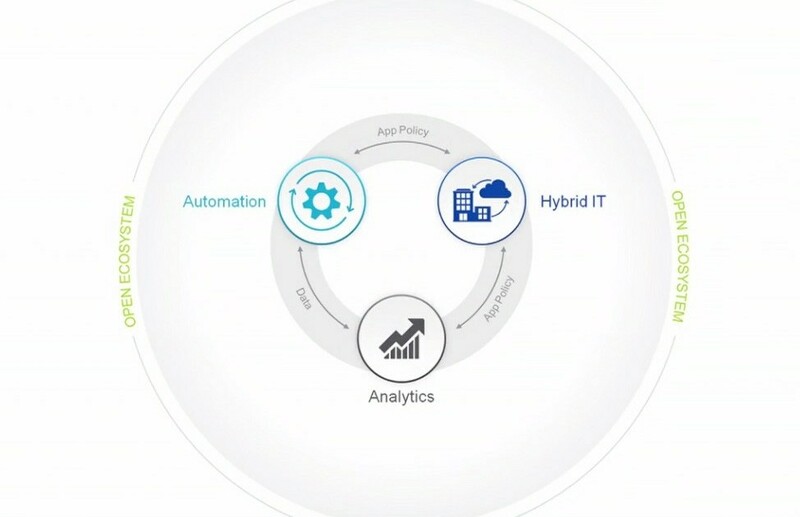 Cisco’s products teams then take all this intelligence and add automation, add machine learning, and provide Cisco’s partners and customers with integrated security architecture. All of this in order to protect their partners, protect their employees, their assets and their intellectual property. By the way, did you know that Cisco has the best breach detection time in the market? They are able of detecting over 90% security incidents within three minutes and since Cisco put the web everywhere, it’s now time to abandon the legacy point product security behavior and adopt an integrated and dynamic self-learning holistic approach. So, that you not only have less complexity, but also feel more secure. With Cisco, we know that we have the best networking hardware with the most advanced software. Yet you shouldn’t be satisfied with the best software of today. What you should go for is the best software for tomorrow. And it not only needs to be advanced, it also needs to be advanceable. Tetration, according to Ruba Borno, is one of the coolest platforms Cisco has. It understands your entire data center in the context of the application environment. It can automatically map your application landscape, it can automatically map your dependences across applications, it can also determine which security policy to apply. And it can also enforce it and it, doing so at scale. The closing guest keynote was delivered by Virgin Galactic’s Commercial Director Stephen Attenborough, who, at one point, was also the company’s first employee. He was the one who had established Virgin Galactic’s commercial foundations including a community of 700 future astronauts, and is now also responsible for work streams investigating additional applications and markets for space vehicles. This also includes the now very actively pursued small satellite launch program. CL Berlin’s platinum sponsor was Citrix who’ve had a significant presence in the partner area this year. At booth P2, you could engage their experts on how to securely deliver apps and data over any network with Citrix XenDesktop, XenApp and NetScaler on Cisco UCS/HyperFlex virtualization infrastructure in order to increase your business’s productivity, agility and differentiation. DevNet is Cisco’s new developer program which provides their partners with tools to produce Cisco-enabled applications. These can then be sold to Cisco’s customers and (or) use the company’s API to enhance or manage your existing Cisco network. Or, to put it more simply, DevNet is where applications meet the infrastructure. DevNet is often considered an old tool, but did you know it’s only been around for three years, launched in December 2013? DevNet is teaching researchers and engineers how to use new tools and resources as well as helping them in their daily work and careers to impact their companies. DevNet is about helping people innovate. 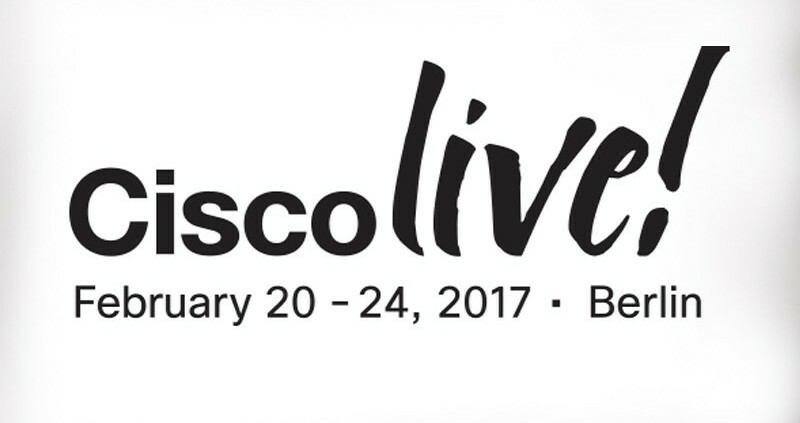 And what specific role did DevNet play at this year’s Cisco Live? According to Cisco’s Senior Director Rick Tywoniak, one of DevNet’s contributions to CL Berlin week was working with 13 innovation centers around the world, helping the CL visitors in cooperation with the engineers working out there, and highlighting some of the cool apps that were developed using Cisco’s APIs. One of such examples can be found in the retail space: MishiPay is a company whose software allows integrating self-checkouts via wi-fi. In case you decide to leave the store without checking out all your items, the MishiPay application learns of your misbehavior and sets the alarm off! The world of Data Centers and the Cloud happens to be very dynamic. The amount of network changes that we see in modern data centers is much bigger than probably in any other segment in the IT space. The real challenge is managing all of these. The user community is evolving – this is something known and traditional. Applications that can be anywhere from bare metal to virtualization to containers, and can sit anywhere – multiple clouds and on the premises as well. In order to address all of these, let’s have a look at the overall holistic approach that is based on four elements (four design principles), that build an integrated architecture: Analyze – Simplify – Automate – Protect. What Liz Centoni sees as a well working customer driven product can be described by three keywords: one architecture – standardized operations – simplicity. An example of this is Cisco integrated system for Microsoft Azure Stack. Its advantages comprise of unified infrastructure management, Cisco generation 4 VIC card, optimized fabric design, and proven policy driven architecture. At this year’s World of Solutions this year, SDN/ACI, Tetration Analytics, UCS and Cloud took center stage in the Data Center category. There were multiple demos showcasing ACI and Tetration innovations. Generally speaking, as Cisco’s recent ground-breaking innovation, Tetration was a hot topic during the whole CL. At the Tetration demo area, customers learned the details about end-to-end application visibility and automated white-list policies for granular segmentation. It was a unique occasion to meet Cisco’s experts and discuss with them recent innovations such as automatic policy enforcement, Tetration Apps, flexible form-factor based deployment options. Following the Tetration launch on February 1, 2017, its innovations have attracted endorsements from customers, partners and media. Check out ecosystem partner quotes here. Last but not least, as a Cisco Live attendee, you benefited from the opportunity to interact with your peers, Cisco staff and partner technical experts in both structured and informal settings. And this is what counts the most! IT Project Manager at Pantheon Technologies, s.r.o.